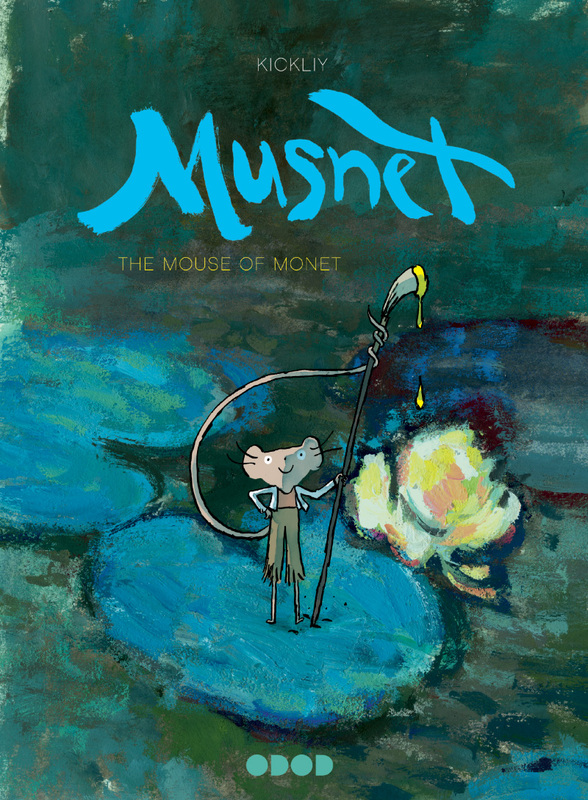 Kickliy is a French storyteller, esteemed oil painter, and creator of the award-winning graphic novel series Musnet. This tale, recently translated from French to English by Uncivilized Books, is set in 19th century France and stars a nameless mouse who happens upon Monet's garden in Giverny. He soon becomes enchanted by Monet's work and resolves to become a master artist himself. This sensational, darling book will have young readers absorbed with the story of an artist's self discovery, as told through beautiful watercolor, ink, and oil illustrations. 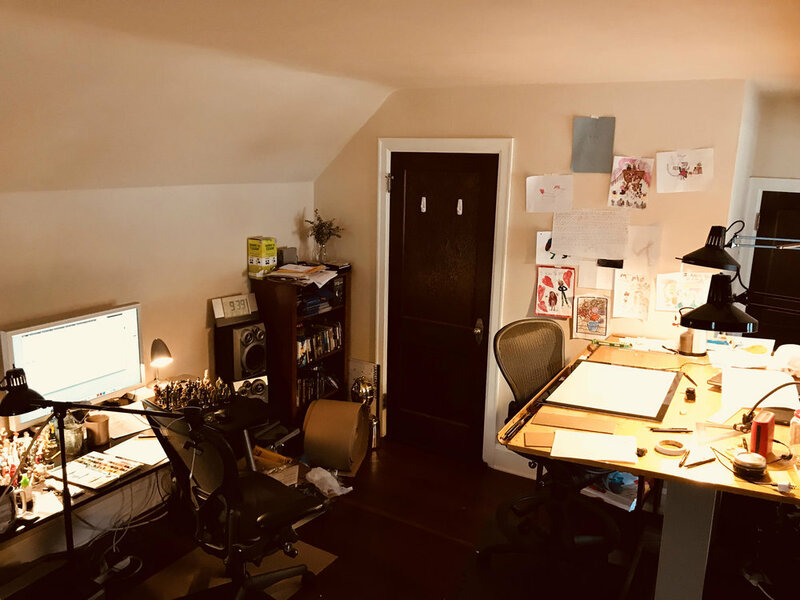 This week, Kickliy joins Illustoria to share drawing tips for budding artists, and offers a sneak peak inside his sketchbook and studio. They say that Monet had the BEST EYES. They say that he saw EVERYTHING. Drawing is the foundation of the arts. When you put pencil to paper, the drawing will show you what you understand and what you do not. If you want to get good at drawing, it is easy- You just have to be very dedicated and draw every day. 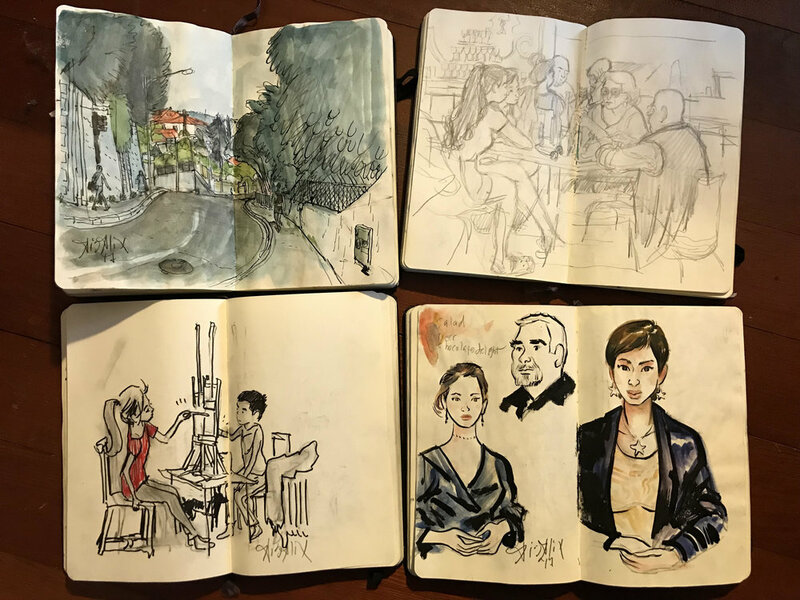 I carry a small sketchbook with me wherever I go. I stop whenever I see something interesting. I have even learned how to walk and draw at the same time. I look for light and dark areas- Those are the best places to find good drawings. I watch how people sit, stand, and move. Those make good drawings too. I draw plants, toys, cars, hair, whatever. I even make drawings up, like a mouse that can paint. The only wrong way to draw is to not draw at all. Feeling inspired? Head to your local library or bookstore and check out the whole Musnet series 1-4! And be sure to enter our Instagram giveaway to win all four of Kickliy's head-over-heels charming books from Uncivilized Books plus a copy of Illustoria Issue 6 Symbols! To see more of Kickliy's work, follow him on Twitter at @kickily.